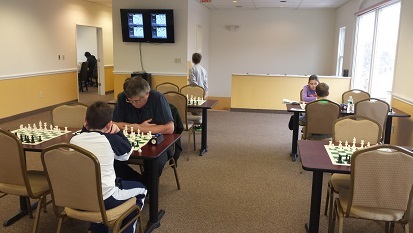 This Saturday we hosted four quads. The top section, with all masters, was won by NM Nicolas Checa with a 2/3 score. 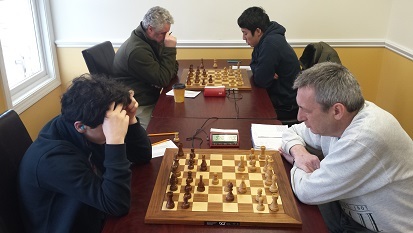 Our second quad came down to the last round between NM Oliver Chernin and Eric Zhang with 2 points each. After an exciting game, Chernin came out victorious, winning the section with a perfect score. Quad three also came down to the final round. 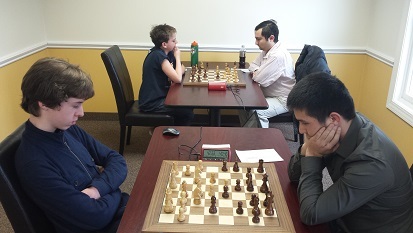 Leo Bykhovsky and Sadie Edelman both went into round three with two points. Bykhovsky emerged with the win, taking quad three for our second perfect score of the day. Carl Scovens won our bottom quad with a 2/3 score. Thank you to all who participated. Hope to see you all next week.